With less than 2 weeks until global launch, we’ve seen some major changes to our community. We launched our updated Developer Portal, rolled out the latest phase of the beta, and welcomed thousands of new developers. Today's newsletter also features a thought-provoking post from Developer Labs, Unity3D telekinesis, and several exciting new app videos. Last week, we announced the Developer Portal was open to the world – anyone can now register as a Leap Motion developer and become a member of our community. On the forums, we've started a thread for new developers to find resources, meet new friends, and introduce themselves. Check it out. We recently finished rolling out the latest phase of the Leap Motion Beta. By now, all early access developers with hardware should have received their invitation, with details about how to access the beta bundle. As we approach launch, we’ll need your help in looking at every aspect of the consumer experience. You can get started by accessing beta.leapmotion.com. Last month, we launched our updated Developer Portal, with brand new tools and resources for our growing developer community. We'd love to hear your thoughts as we continue to refine the Developer Portal – post your suggestions on the general discussion forum. Starting this week, we’re highlighting the latest posts from Developer Labs – the new blog where you can find deep insights and technical perspectives on Leap Motion projects, natural user interfaces, and developer communities worldwide. Mesh Manipulation. Isaac Cohen, Experience Engineer at Leap Motion, talks about manipulating the mesh of a sphere – taking advantage of the Z-axis for truly remarkable interactions. 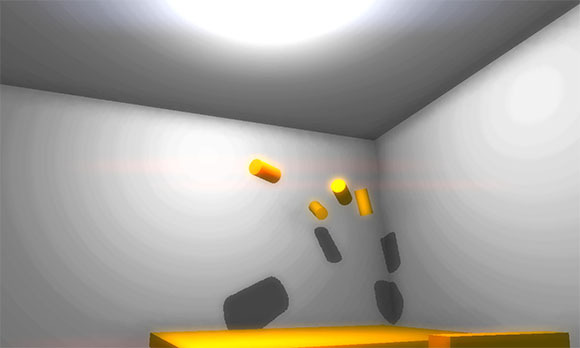 Unleash your latent telekinetic powers with Pohung Chen’s latest Unity3D demo, LeapForce. By closing your fists, you can lift objects – whose lack of faith you presumably find disturbing – and then destroy them. ASETNIOP is calling on developers to try DexType – a virtual keyboard that allows you to control your Chrome browser with the Leap Motion Controller. 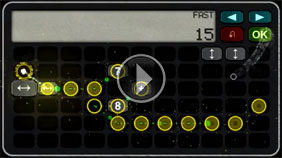 We saw some great discussion and feedback after Frooxius released a pair of app demo videos. 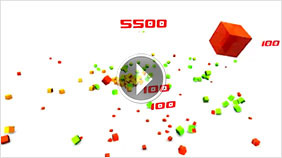 DeCalc is a math puzzle game, while in CubeGround, you throw green cubes into an area and destroy red cubes to protect yellow cubes. Razorfish Chicago posted an video of an in-development interactive experience in Google Chrome. Built on HTML, CSS, WebGL, and three.js, it’s a quirky little world that will live on a large screen in their lobby. 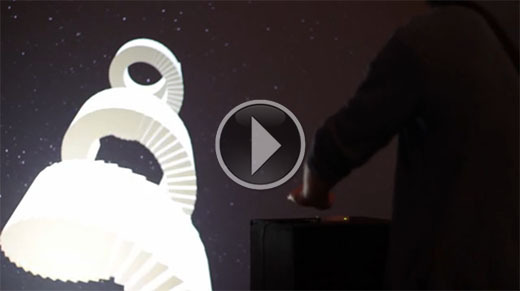 Created for Stereolux, a conference on gestural interfaces in Nantes, France, Untitled ° is an interactive monochrome dreamworld. Viewers can immerse themselves within a 3D scene and interact with simple hand movements.